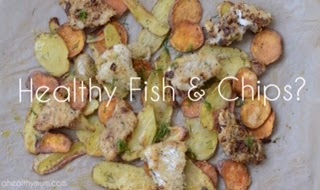 Beautifully Organised: Healthy Fish and Chips! 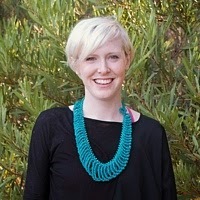 This week I'm thrilled to welcome guest blogger Stace from A Healthy Mum to Beautifully Organised! I was chatting with Stace about how much easier life is when we have quick and easy meals to cook that are healthy too - it helps us with time pressure, mother guilt, and general everyday overwhelm. 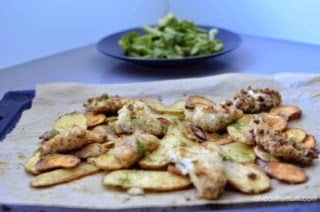 Stace has some fantastic ideas over at her blog and has been kind enough to share her Healthy Fish & Chips recipe with us here - Enjoy! A family favourite guaranteed to be ready in under the time it would take you to buy them from the store. Made in minutes, enjoyed by all and perfect for the freezer. These homemade fish and chips are a real winner! Preheat your oven to 200c and line two oven trays. In one dish place the mayonnaise and in another place the breadcrumbs with the Italian herbs stirred through it. Firstly coat the fish in the mayonnaise, you're best to do this with your hands as you want it even. Then, roll the fish in the breadcrumbs and place it on the lined oven tray. Repeat until all the fish is crumbed. Before placing in the oven, brush a little coconut oil on the fish and also on the cut potatoes and sweet potatoes that you can place on the other oven tray. Bake for 15-20 minutes, turning half way through. A side salad, mushy peas, steamed green beans would all be lovely. You'll find you don't need much sauce for the fish as the mayonnaise keeps it from drying out. Fish is brilliant for the babes, not just for brain development but for cell health too. And, these fish fingers are a great option with their healthy crunch, helping little mouths discover new textures and tastes. If you want to freeze the fish fingers do that before cooking, store them in an airtight container in the freezer for a good few weeks.